After traveling Asia, the Middle East, Europe and Africa for seven years, Shirobey returned to Japan and decided to build an anagama near Mashiko. Entirely self-taught, his works now speak for themselves through the quality of beautiful and fascinating results that he achieves from his week-long anagama firings. 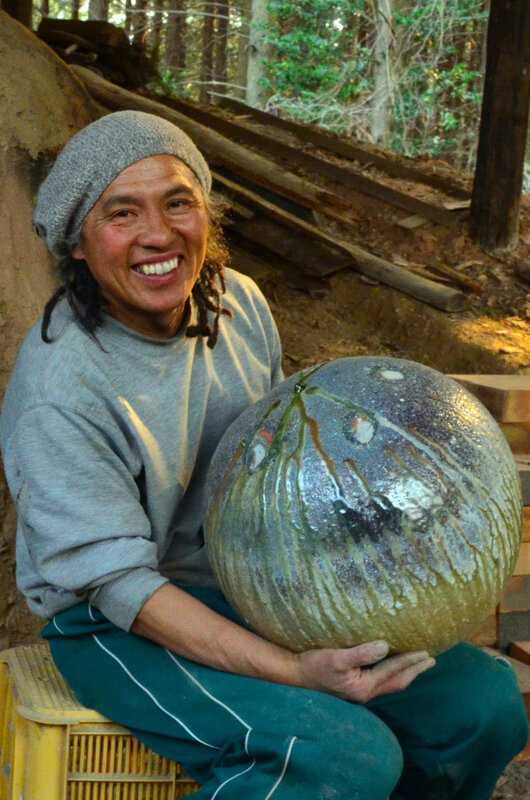 Shirobey’s place, his home, studio, kiln, everything, is self-built, including all of the organic gardens that his wife produces and they are known for their happy lifestyle.